June 21, 2018, Tokyo, Japan. 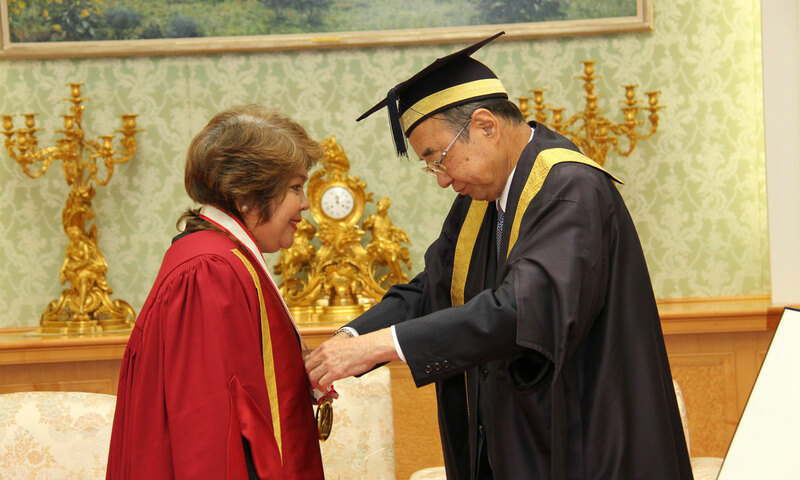 President Tejada was conferred the Soka University Award of Highest Honor in recognition of her endearing contributions to the promotion of education, culture and the cause of world peace. 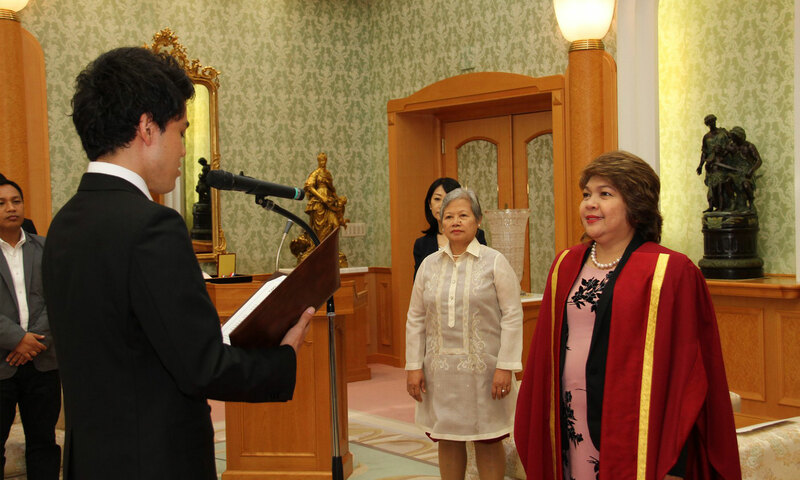 In his speech, President Yoshihisa Baba, Soka University President commended the significant contributions of President Tejada to national development as a former Philippine government official in the national setting and presently as a head of a state university, the national awards she received and her vision of providing food on the table as an agricultural scientist and her personal philosophy behind her success in winning life's battles. The decision to confer the Soka University Award of Highest Honor is made based on the consent of the university Academic Council, followed by the approval of the Board of Trustees. This time, it was presented based on the recommendation of Dr. Ikeda. 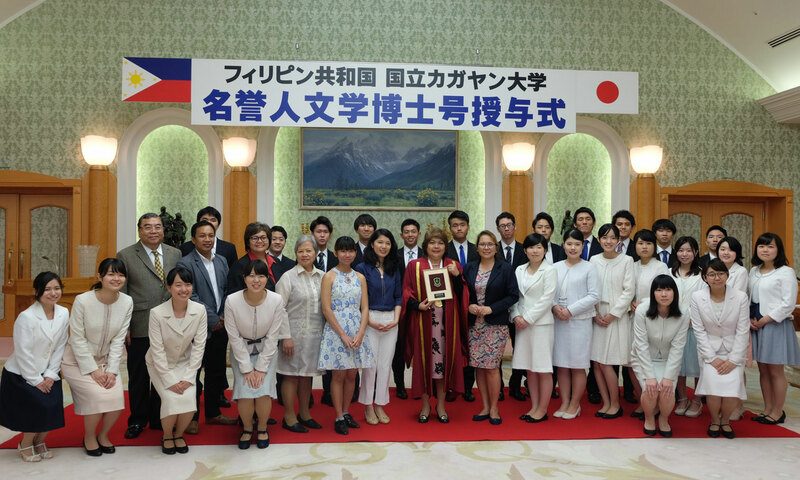 The award is conferred to recognize the achievements made by individuals in Japan and abroad for the betterment of society and humanity in their own area of contribution. Other recipients are individuals such as Wangari Maathai, Kenyan environmental activist and the founder of the Green Belt Movement and the 2004 Nobel Peace Prize Laureate; Jim Garrison, a professor of philosophy of education at Virginia Tech University and the past president of the Philosophy of Education Society and the John Dewey Society; John Kenneth Galbraith (October 15, 1908 - April 29, 2006), a Canadian-born economist, public official, and diplomat; Dr. Hazel Henderson, a futurist and evolutionary economist. Earlier, she was also bestowed a Soka Friendship Award by the student body of Soka University of Japan for creating value for world peace and nurturing the best and brightest human resources as reflected in the universityâ€™s vision and core values. President Tejada, in her speech, admitted that she did not expect the award, however, she thanked Soka University and expressed her assurance that Soka University will be the partner of CSU in furthering its endeavor at improving the quality of education while instilling in its students noble virtues of compassion and the untiring search for enlightenment. The conferral ceremony was witnessed by Soka University officials, professors and student representatives, Filipino exchange students from University of the Philippines and University of the East, Soka Gakkai International officials and Atty. Joey Cauilan, Professor Marie Cauilan and Dr. Florentina Dumlao of CSU.